Blood in the air and lions on the prowl! When both Rolith the Knight-Captain and many of the Pactoganol Knights go missing, Alina decides that the time to sit back and watch others fight has passed; it's time to decide whether being Evil in the service of saving lives is worth it. Enter the Battle PoisonMistress! He'll want to take the Knight off after that. Battle through a /poisonforest full of loyal knights put to the flame and traitorous deserters to reach the Lionfort! 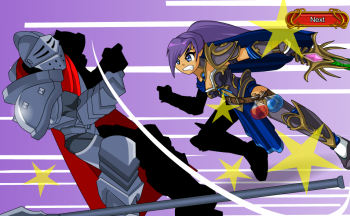 Let the battlerage consume you as Alina poisons her way through a forest of enemies to reach the captives! As Alina comes to terms with what she is willing to do in the name of Good, YOU will need to make your own choice to determine the fate of this week's villain. Be careful, because once you learn his identity, you'll understand the far-reaching consequences of this decision! Thanks to Hizu for his work on the Traitorous Lieutenant monster and to Samba for pushing through a crashing Flash (9 crashes in one day) to rock out the cutscenes! Check out Alina's Armory shop, it's got some great new gear from Jemini for members and free player gold! Don't forget, tomorrow morning at 10AM server time - the first Limited Quantity Shop of 2012 releases! 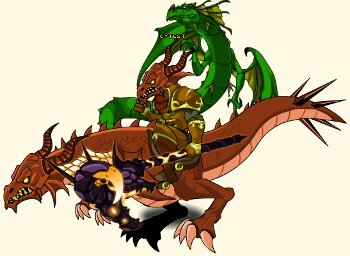 With epic equips like Zard Rider, Dragon Rider, and the Toxica set, you'll want to make sure to get in line before they're gone! To find out what time 10AM is in YOUR region of earth, check out this timezone converter! Who knew Zard Riders could /samba in sync? I herd u like dragons, so I put a dragon on your dragon. Update on the winner of I Can Has Mod winner IF they reply! That's it for this weekend, guys, but we think that's quite a lot for one weekend! Enjoy the releases! Death. Life. All contained within a single vial - the power of poison. To harm or heal, cure or kill... to be Good or Evil... all contained in a single drop. We all must make choices, and we must all grow into our decisions. Life is not black and white and, as we've seen, neither are alignments. Even the most toxic poison can sometimes cure*. do what you think is right? Return to the Potionmaker storyline this Friday as Alina decides whether to remain passively making potions or take up her poisoned blade to save a life... and change her future! To begin the Potionmaker storyline, head to Swordhaven castle and take a right when you reach the drawbridge. You'll find Alina with a tale to tell and potions to sell! * That also means the most potent medicine can kill. Mid-week Member-only release: BloodAncient Class! We didn't think it could be done, but it looks like we WILL be able to release a member-only class during one of Cysero's mid-week releases! To that end, prepare yourselves for the BloodAncient Class! With skills like Draw Blood, Soul Grip, and Aspect of Mist, you'll find the battlefields left bloody in your wake! Limited Quantity Shop: Saturday, March 31st at 10 AM! His legacy is Cyborg technology. Watch the Design Notes for more art previews throughout the week, and make sure you know when the shop opens for YOU with this timezone converter! I Can Haz Mod Contest! Remember, the last I Can Haz Mod contest ends THIS FRIDAY, March 30! 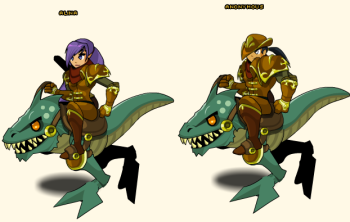 So if you haven't purchased your Last Golden Cheezburger from Cleric Joy in Battleon, hurry! The winner will be granted one selfless wish AND get to spend 2 hours with their favorite AQW dev or mod, AND get temporary modship (and all attendant privileges) for 2 hours! 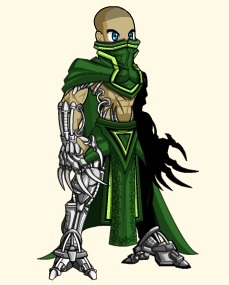 Look for a skill breakdown for Blood Ancient Class to come this week! Next week: Treasure Chest loot update! Next week: Suggestion Shop update! Artist Livestream Week! 1 AQW artist a day will stream live in-game to show how art for AQW is created!